Education: Ph.D. (1986), Doctor of Science (2011), State University of Aerospace Instrumentation, St. Petersburg, Russia. Position: Head of Department of Information and Communication Systems, St. Petersburg State University of Aerospace Instrumentation (SUAI), Russia. Research interests: random multiple access, multi user telecommunication systems, theory of reliability and video compression algorithms. A.M. Turlikov, Decentralized control of random access to a system of parallel communication channels (in Russian), Dissertation in fulfillment of the requirements for the degree of Candidate of sciences // Leningrad institute of aerospace instrumentation, 1986. S.G. Markovsky, A.M. Turlikov, Usage of user addresses for collision resolution of requests transmitted to a base station (in Russian) // Transactions on radio electronics. Series: Systems and measures of information representation and control of special purpose machinery, No. 1, P. 119-126, 2008. S. Andreev, P. Gonchukov, N. Himayat, Y. Koucheryavy, and A. Turlikov, Energy efficient communications for future broadband cellular networks, Computer Communications Journal (COMCOM), vol. 35, no. 14, pp. 1662-1671, 2012. S.Foss, S.Shneer, A.Turlikov, Stability of a Markov-modulated Markov chain, with application to a wireless network governed by two protocols, Stochastic Systems, Vol. 2, No. 1, 208-231, 2012. E.Belyaev, A.Turlikov, K.Egiazarian and M.Gabbouj, An efficient adaptive binary arithmetic coder with low memory requirement, // IEEE Journal of Selected Topics in Signal Processing. Special Issue on Video Coding: HEVC and beyond, vol.7, iss.6, pp.1053–1061, 2013. A. Malkov and A. Turlikov, Random-access communication with success-failure feedback // Sixth Joint Swedish-Russ. Int. Workshop Inform. Theory, pp.107-111, Sweden, 1993. A. Malkov and A. Turlikov, Random-access algorithm for communication with success-failure feedback // IEEE International Workshop on Inform. Theory, Mosow-Aksakovo, 1994. S. Markovsky, A.Turlikov, Improved blocked algorithm in the channel of multiple access with false conflicts // The International Symposium on Problems of Modular Information Systems and Networks, St.-Petersburg, p.31-32, 1997. V.Petrov, S.Andreev, A.Turlikov, Y.Koucheryavy, On IEEE 802.16m Overload Control for Smart Grid Deployments, The 11th International Conference on Next Generation Wired/Wireless Advanced Networking, pp.86-94, 2012. O.Galinina, A.Turlikov, S.Andreev, and Y.Koucheryavy, Stabilizing Multi-Channel Slotted Aloha for Machine-Type Communications, In the Proc. of the IEEE International Symposium on Information Theory – ISIT’13, Istanbul, Turkey, pp.2013-2023, 2013. E. Bakin, S. Andreev, A. Solovyeva, and A. Turlikov, Average Delay Estimation in Discrete-Time Systems, In the Proc. of the 20th International Conference on Analytical and Stochastic Modelling Techniques and Applications - ASMTA'13, Ghent, Belgium, pp.37 - 51, 2013. 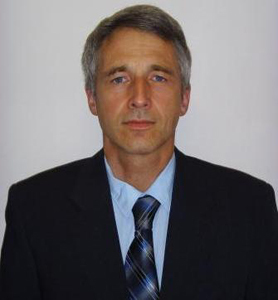 A. Ometov, S. Andreev, A. Turlikov, and Y. Koucheryavy, Characterizing the Effect of Packet Losses in Current WLAN Deployments, International Conference Intelligent Transportation Systems Telecommunications (ITST) , 2013. R.Markhovsky, S.Ospov, E.Vityaev, E.Mixhienku, S.Ivaniya, S.Markhovsky, A.Turlikov, Method and system for finding, United States Patent Application 20060012476, 2006. R.Markhovsky, S.Ospov, E.Vityaev, E.Mixhienku, S.Ivaniya, S.Markhovsky, A.Turlikov, Method and system for finding, United States Patent Application 20050020279, 2005. A.Sergeev, A.Turlikov, A.Ukhanova, Separate Huffman coding of run-lenght and size data of DCT coefficients, Pub. No. :WO/2009/091279, 2009. E.Belyaev, A.Turlikov, Method and apparatus for image quality control in video data, United States Patent Application 20090086813, 2009. A.Sergeev, A.Turlikov, Transmitting Video Between Two Stations in a Wireless Network, Application Number: 12492530, 2009. R.Markhovsky, S.Ospov, E.Vityaev, E.Mixhienku, S.Ivaniya, S.Markhovsky, A.Turlikov, Method and system for range finding using RFID and virtual triangulation, United States Patent Application 7822424B2, 2010. R.Markhovsky, S.Ospov, E.Vityaev, E.Mixhienku, S.Ivaniya, S.Markhovsky, A.Turlikov, System and method for locating a target using RFID, United States Patent Application 7787886B2, 2010. A.Sergeev, A.Veselov, A.Turlikov, Compression using range coding with virtual sliding window,	International Application No. :PCT/RU2009/000658, 2011. A.Veselov, M. Giimutdinov, A.Turlikov, Detecting artifacts in quantization noise in images compresses using discrete cosine transforms, International Application No. :PCT/RU2009/000659, 2011. E.Pustovalov, A.Turlikov, Device, system and method of wireless communication between circuits, International Application No. :PCT/RU2011/000202, 2012. E.Pustovalov, E. Bakin, G.Evseev, A.Turlikov, Frequency domain equalization for wireless communication, International Application No. :PCT/RU2011/000201, 2012.